The biggest crowd ever was in attendance at the opening school picnic. With a record enrollment of 249 it was estimated that a crowd of nearly 900 were gathered at the bell tower for Mass and dinner. 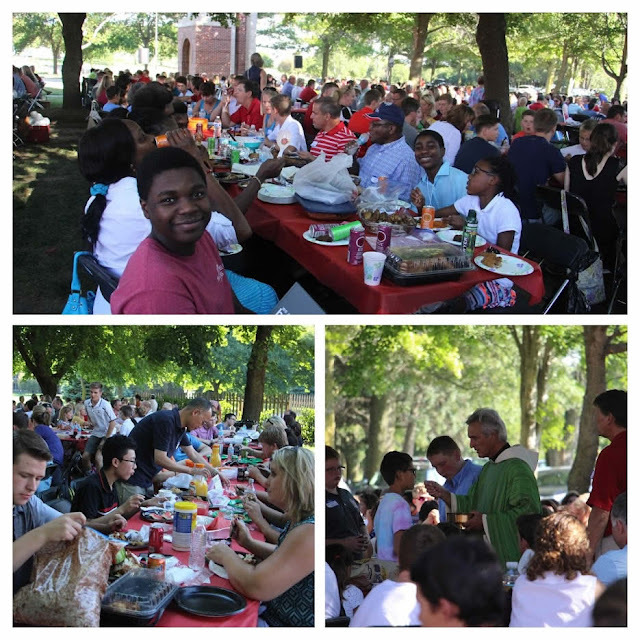 The picnic was sponsored by the Mount Michael Booster Club which supplied the main course of fried chicken. The next few days the faculty will be having meetings and the freshmen are having a day of orientation. Boarding students move in on Wednesday and classes begin on Thursday.